Monson-Frederic F. Warman, 79, passed away Tuesday, November 20, 2018, surrounded by the love of family. Fred was born in Norristown, PA to the late Henry J. and Retta M.(Montgomery) Warman. He was a graduate of South High School in Worcester. After graduation he enlisted in the Army Reserves. He was accepted at Springfield College and completed a 4-year degree in education and then completed his Master's in Education. Fred was a teacher at Monson High School for 30 years teaching history, government and psychology. He also taught psychology at the college level for many years. He taught detox classes because of his involvement with AA. He coached cross country and basketball. He also served as athletic director for a period of time and was active with the drama club at the high school. 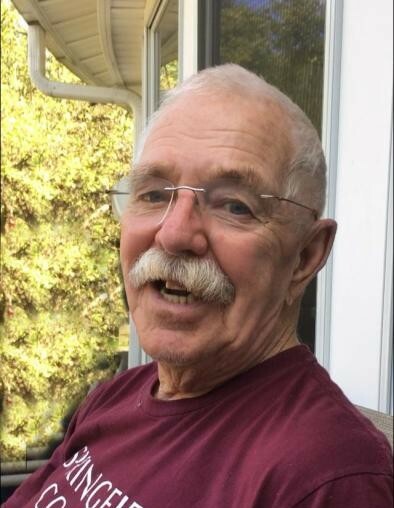 Fred was town of Monson, town moderator for 39 years, he served as Monson Summerfest parade announcer, he was a community policeman, later joining the Monson Police Department and was a friend of Bill W. for over 30 years. Fred enjoyed music and sang in a barbershop quartet, the "Faculty Four" for many of his high school teaching years. Fred leaves his wife of 56 years, Lynn C. (Kattler) Warman; a son; Mark Warman and his wife Caryn of Rexford, NY; a daughter, Jill Giebutowski and her husband Steven of Monson; a brother, W. Montgomery Warman and his wife Ruth of Cedar City, UT; a sister, Mary E. Edgerton and her husband Thomas of Skull Valley, AZ; five grandchildren, Tyler, Aimee and Jason Warman , Julia and Carly Giebutowski and several nieces and nephews. Visiting hours will be held Sunday, November 25, 2018 from 1-4pm in Lombard Funeral Home 3 Bridge St. Monson. Funeral Services will be Monday, November 26, 2018 at 11am in Lombard Funeral Home . Burial will follow at Hillcrest Cemetery in Monson. In lieu of flowers memorial contributions may be made to Monson Athletic Boosters Association PO Box 331 Monson, MA 01057 or Alzheimer's Association PO Box 96011 Washington, DC 20090-6011.